In the double-blind study that provided the basis for obtaining FDA approval, outpatients with mild to moderate Alzheimer's disease were randomized to receive 10 mg donepezil daily (157 patients), 5 mg donepezil daily (154 patients), and placebo (162 patients). Both the 5 mg and 10 mg donepezil groups showed an average 3 to 8 percent advantage over placebo on cognitive performance and global clinical improvement. The peak effect occurred after six weeks on medication, and by six months the effect had begun to wear off. Nonetheless, throughout this period, patients on donepezil retained an advantage over patients who continued on placebo. 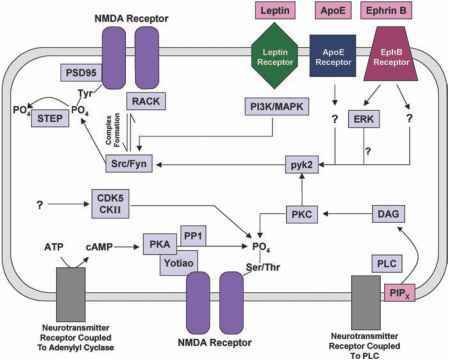 In other words, the progress of Alzheimer's disease was not dramatically changed, but being on donepezil meant that the patient's worsening was delayed, unlike people on placebo, who deteriorated steadily over time. From the original series of donepezil study participants, 133 Alzheimer's patients were followed for an average of two years. Donepezil treatment did not completely halt long-term decline, but it was associated with less deterioration than what was expected over time in these Alzhemier's patients. The success of donepezil in treating not only Alzheimer's disease but also some people with mild memory loss (like Diane Pozniak, described at the beginning of this chapter) has led the National Institute of Aging to launch a large-scale controlled study with both donepezil and vitamin E to find out how effective these medications are for people with mild to moderate memory loss. The results of that study are likely to have a major impact on the use of these two agents to treat mild memory loss, and as a preventive strategy for age-related memory loss. Donepezil ranks at the top of my list of potentially useful prescription medications to prevent age-related memory loss, and to treat mild memory loss. Donepezil's cholinesterase inhibiting activity is similar to tacrine, but it has one great advantage: low toxicity. It has the added benefit of once-a-day dosing (5 or 10 mg). The main side effect is nausea or diarrhea, which affects a small number of people taking this medication. If your stomach can tolerate Aricept 5 mg daily, raising it to 10 mg daily should not present any problems. As with many new medications, Aricept is expensive ($3 to $6 daily). 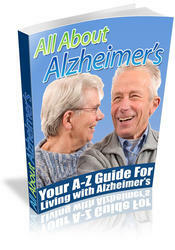 The comprehensive new ebook All About Alzheimers puts everything into perspective. Youll gain insight and awareness into the disease. Learn how to maintain the patients emotional health. Discover tactics you can use to deal with constant life changes. Find out how counselors can help, and when they should intervene. Learn safety precautions that can protect you, your family and your loved one. All About Alzheimers will truly empower you.